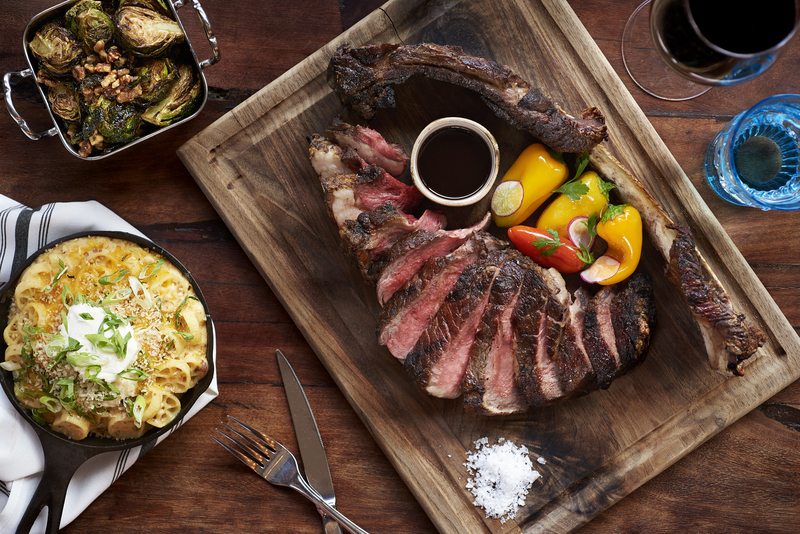 Dinner in San Diego has never been more delectable! 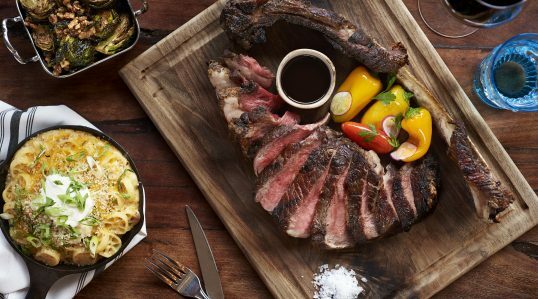 Offered daily from 5pm, Searsucker’s dinner menu features signature New American Classics loved by San Diego locals and Gaslamp Quarter visitors alike. 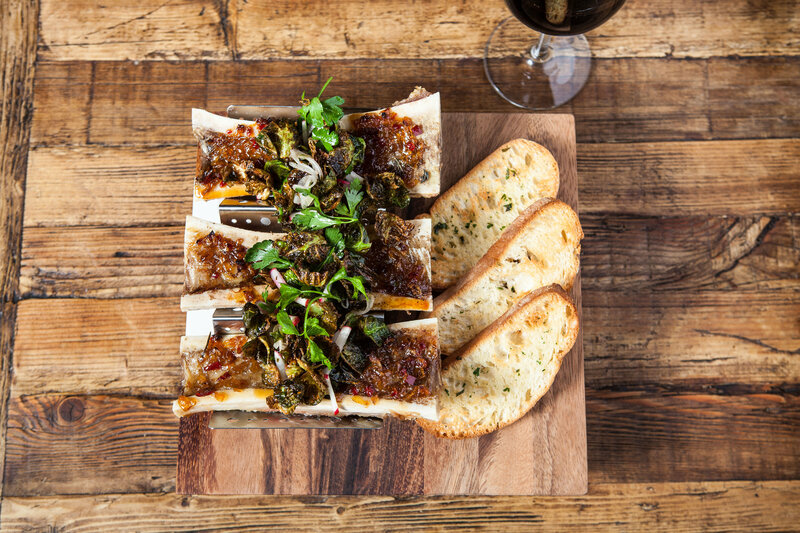 Enjoy a meal of “shared plates” with friends, graze on seasonal greens, or go with larger mains to satisfy a heartier appetite. Add some drinks, “sides” (like our brussels & walnuts) and finish with some “sweets” to round out the perfect meal! Based on availability of seasonal ingredients, menu items are subject to change without notice. Searsucker serves lunch Monday through Friday from 11am to 3pm, offering fabulous foodstuffs for a quick lunch break, a client meeting, or just a leisurely afternoon in the Gaslamp. Start with a salad, soup or small plate and work your way towards the magic that happens between the buns or on our larger mains. 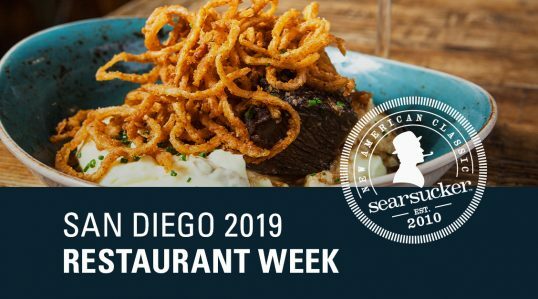 Searsucker’s weekend brunch menu is full of cool and zesty dishes perfect for the bright San Diego Saturdays and Sundays. Whether you like your brunch protein-chic or light & fruity, we’ve got something for you. 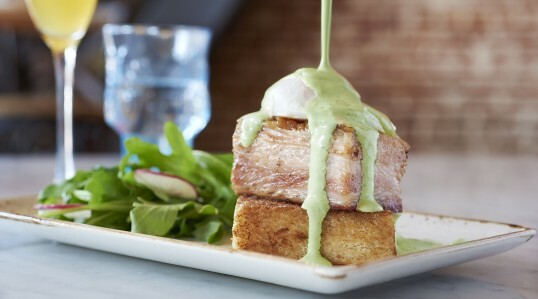 Our weekend brunch selections offer twists on the familiar, ranging from lazy-day playful — the Dr. Seuss-inspired Green Eggs and Ham is a must-try — to weekend beach party fare — the Shrimp n' Grits with golden eggs is not for the faint of heart. No matter your style, it all pairs well with brunch cocktails and bottomless mimosas! 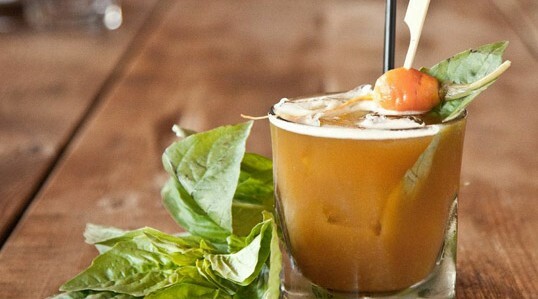 Fresh, local and seasonal ingredients make Searsucker's cocktails the best in San Diego. 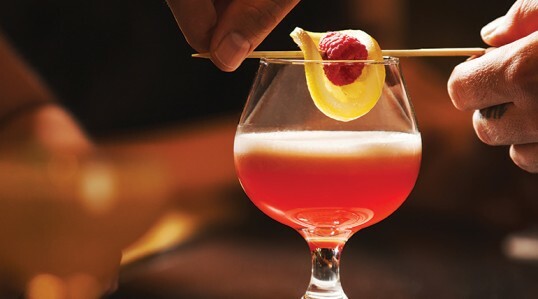 Our master mixologists utilize fresh, local and seasonal ingredients in unique ways to create the most innovative cocktails. 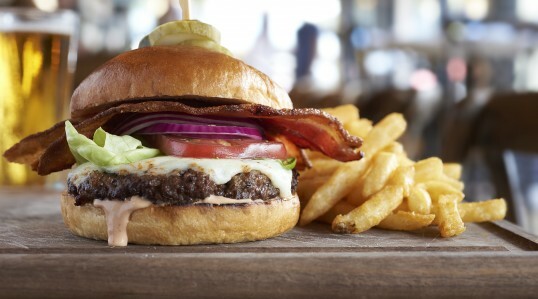 The extensive drink menu is designed to enhance every bite of Searsucker’s delicious food. 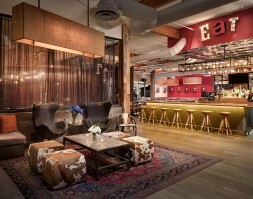 Enjoy Searsucker’s signature cocktails like the Peter Rabbit--named the OFFICIAL cocktail of the Gaslamp Quarter--or one of the fun twists on familiar whiskey specialties (bet you've never had a PB&J Old Fashioned before!) at lunch, brunch, dinner or during daily happy hour from 3-6pm! **Ask to see our bottle list! Enjoy your favorite cocktails and small plates DAILY from 3-6PM in the bar and lounge! 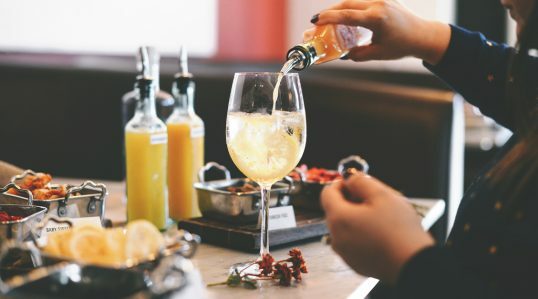 With varied options for any poison you pick and served DAILY from 3-6pm, Searsucker has one of downtown’s best Happy Hours. After work or before you hit the town, stop by Searsucker's happy hour and snack on appetizers (like our famous duck fat fries or spicy tuna poke) or grab a $6 local craft beer, $7 glass of wine, or $9 specialty cocktail like the jalaberry strawpeño made with house-infused strawberry jalapeño tequila, lime & agave. Featuring a DIY You & Yours Spritz Bar! On April 21st, hippity hop on in for a special Easter Sunday Brunch! 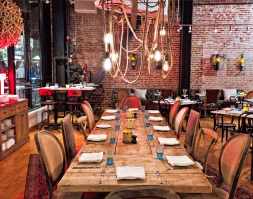 Chef has put together a menu of his weekend favorites, for a $20 2-course prix-fixe option. For an additional $10, make your own Insta-worthy You & Yours Spritz! Pick your Vodka / Gin, white or pink bubbles, then go crazy at the fixin's & garnishes bar! 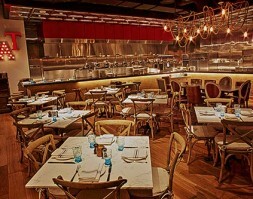 A la carte food options will be available as well, in addition to our bottomless mimosas and full cocktail list. No meal is complete without a little sumpin' sumpin' to satisfy that sweet tooth. At Searsucker, we believe the perfect meal should end with the perfect dessert. 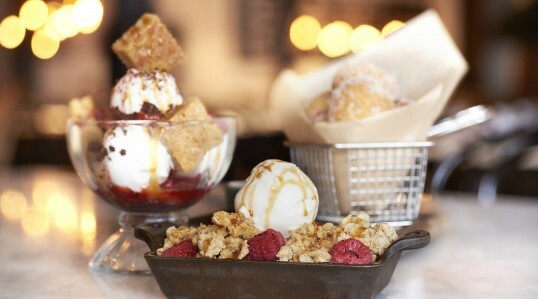 Pick a few to share and satisfy everyone's craving, whether it's something light and fruity like our pastry chef's rotating seasonal cobbler, sweet and salty like the peanut butter and chocolate mousse bar, or rich and decadent like the blondie sundae. Don’t miss these limited-time deals on pre-fixe menus, featuring both classic favorites and brand NEW dishes! Stop by on your weekday lunch break for a 2-course meal for $20, or join us for a 3-course dinner for $50 from January 20-27th.